For the past few weeks, we've been taking a look at indoor air quality hazards specific to the winter season and then investigating options to address each hazard. The truth is, winter is the time of year when you are more likely to get sick, even if you have been healthy all year long! One of the primary reasons for this is simply that you stay indoors more frequently and for longer hours than you do during the warmer times of year. While during the spring, summer, or fall, for instance, you might be tempted to step outside for your lunch hour or go for a jog after work, during the winter you are probably going to lunch indoors, exercise indoors, and do pretty much everything else indoors as well. This means you are primarily breathing recycled indoor air, with its laundry list of potential airborne allergens, pollutants, toxins, and volatile organic compounds. Unless you make a special effort to clean and purify your indoor air during the winter, you are going to breathe in what everyone else has contributed to your shared air supply, whether that is flu virus germs, bacteria, mould, mildew, pet dander, smog, or other pollutants. In this post, learn about one potent device that can clean up your indoor air supply FAST—and keep it clean! UV stands for "ultraviolet." The most well-known source of ultraviolet light is our own sun. The sun's ultraviolet rays are considered the gold standard for air purification, which is how our planet continues to function so far in spite of humanity's negative impact on outdoor air quality. 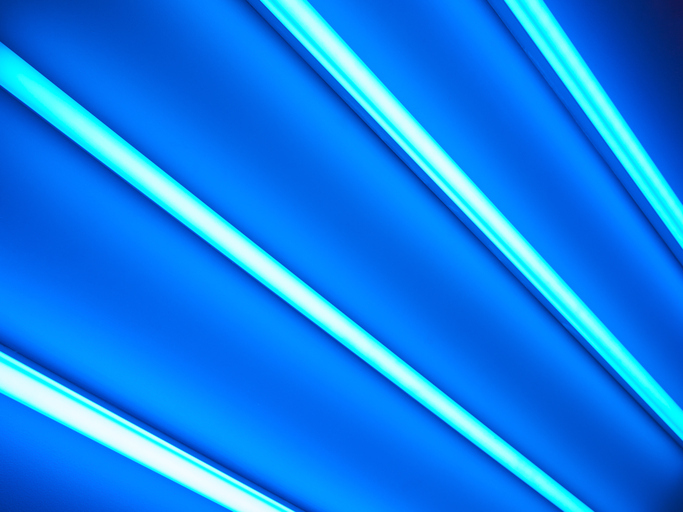 UV light is broken into three spectrums: UVA, UVB and UVC. UVA and UVB are the rays your doctor warns you about. These rays can penetrate the Earth's ozone layer and cause sunburns and worse. UVC is actually the most potent type of ultraviolet sunlight, but the ozone layer blocks it (which is also why holes in the ozone are such a concern for environmental scientists—and us). For air quality purification purposes, UVC is the light spectrum of choice and is often called "germicidal UVC" for the powerful impact it has on airborne toxins. If the toxin is floating in the air and comes into contact with UVC rays, the toxin will be neutralized on the spot. There is one caveat, however: only airborne toxins can be effectively neutralized by an ultraviolet air purifier. If the toxin makes it into the walls, air ducts, carpeting, or mattresses, another method will be needed to clean and neutralize it. How Does UV Air Purification Work? UV is a type of light wave that lies just outside the spectrum of what you can see with your eyes. It is a shorter light wave that has the same effect on microorganisms (fungi, bacteria, viruses, etc.) that UVA and UVB light has on human skin. But since the ozone layer surrounding the Earth blocks UVC light from entering our planet's atmosphere, microorganisms living here are naturally quite safe from it! However, lucky for us, it is possible to make artificial UVC light that can neutralize the microorganisms floating along in the air we breathe. How it works in this artificial form is quite similar to what would happen if you climbed into a tanning bed that was way too powerful. The microorganism floats by the artificial UVC light emitted by the air purifier, and ZAP! No more microorganism. What actually occurs during the ZAP! part is that the UVC light is changing the DNA of the microorganism so that it is no longer viable as a pathogen. In other words, once the pathogen and the UVC light have met, the pathogen will no longer be able to do its job of infecting you or negatively impacting your health! For particularly resistant airborne microorganisms, however, it may take more than one exposure to the artificial UVC light waves to achieve a complete eradication of the microorganisms. This is the genius behind the use of UVC air purifiers together with a forced-air duct system inside a home or workplace, because the air will be recirculated multiple times to ensure it is always pure and clean. A UV air purifier is a device that emits concentrated UVC short light waves on a continuous basis. This type of device is used to purify the air by neutralizing various kinds of airborne microorganisms. Some UV air purification systems are “generalists,” which means they are designed to neutralize a variety of airborne pollutants to match the type generally found inside the average home or workplace. Other UV air purifiers are “specialists,” which means they are designed to work particularly well on certain classes of airborne pollutants. These pollutants might include mould spores, mildew spores, dust, pet dander, pollen, and similar others. The type of UV air purification system you need will depend on your specific health issues and what is going on inside your indoor space at home or at work. For instance, if you have furry family members, you may feel particularly keen to install a specialist UV air purifier that can neutralize pet dander proteins. The UV air purifiers available today can work with any type of ducted HVAC system. The air purifier is installed in-duct to purify the air as it enters your air ducts. If you do not have a ducted HVAC system, you can still benefit by bringing in portable UV air purifiers that can work well to purify the air in a single room or a certain size (square foot) area. Right now, save 20 percent on any whole-home air quality equipment, including whole-home UV air purification systems! Contact us online or give us a call at 905-544-2470 to learn more.